Philip graduated in 1973 with 1st Class Honours in Civil Engineering and joined Consulting Engineers Partnership Limited (CEP) in the same year. He has been a CEP Director since 1985 and is presently the Director in charge of CEP's significant structural engineering projects. 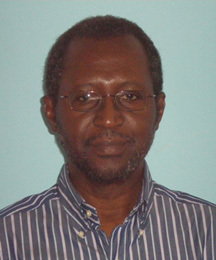 Philip is a past president of the Barbados Association of Professional Engineers and the past Chairman of the Institution of Structural Engineers, Caribbean Division. Bachelor of Science (Civil Engineering) with 1st Class Honours - University of the West Indies, St Augustine, Trinidad, WI, in 1973. Greg graduated in 2000 from the University of the West Indies with a Bachelor's Degree in Civil Engineering and joined Consulting Engineers Partnership Ltd in the same year. He then pursued and gained a Master's Degree at Imperial College in Concrete Structures and Technology in 2006. At Imperial College, Greg was awarded the Frank Hodgson Prize for excellence in structural design. 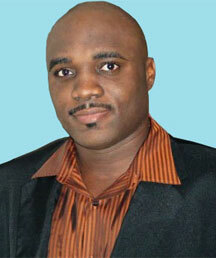 In 2012 he was elected President of the Barbados Association of Professional Engineers. Bachelor of Science (Civil Engineering) - University of the West Indies, St Augustine, Trinidad, WI, in 2000. UWI Medical Faculty Building Barbados, civil & structural engineering. Hurricane Ivan in Grenada, PAHO/UNDP assessments. Renovations to James Street Methodist Church, Barbados. Renovations to Schools, Barbados Education Sector Enhancement. New Fire Station at Grantley Adams Int. Airport, structural engineering. Expansion Works at Grantley Adams Int. Airport, resident engineer. Wimoweh Renovations & Expansion, Barbados, civil & structural engineering.